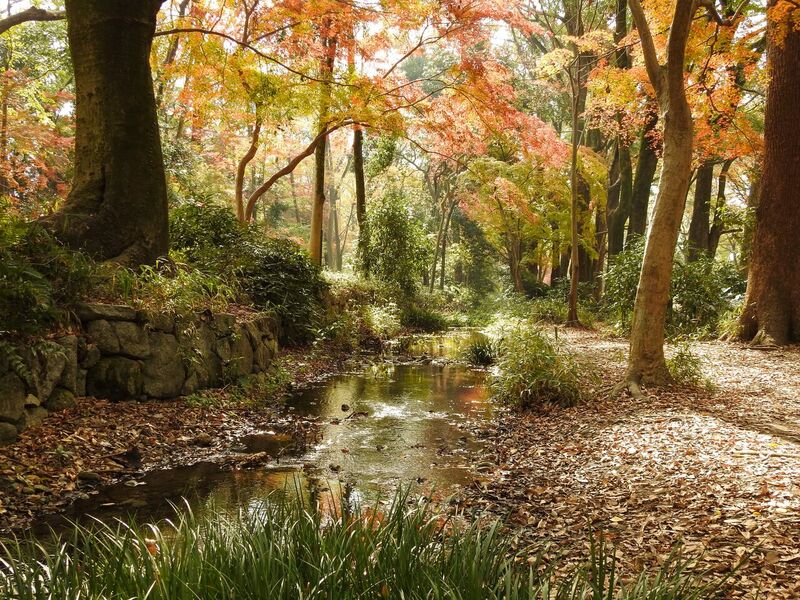 SHIMOGAMO Shrine and TADASU-NO-MORI Woods | Why KYOTO? When you look at a map of Kyoto, the first thing that jumps out at you may be the Y-shape confluence of the KAMO River and TAKANO River, where the two rivers join and form the KAMO River. The two KAMO Rivers are actually written with different kanji characters. 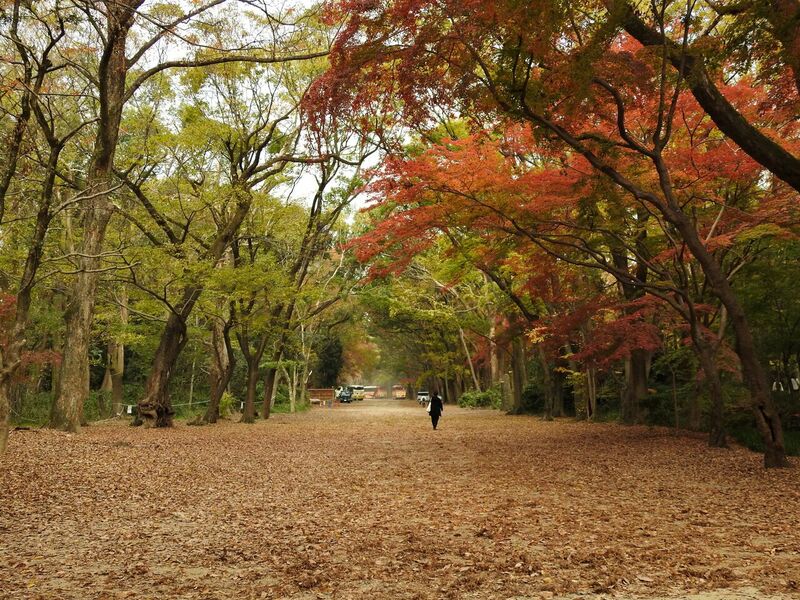 The area situated between the two arms of the Y-shape is home to the 124,000 ㎡ of woods made up of over 3,000, mainly elm, trees. This is the size of 17 football fields. But what’s more surprising is that the woods used to be around three times as big. 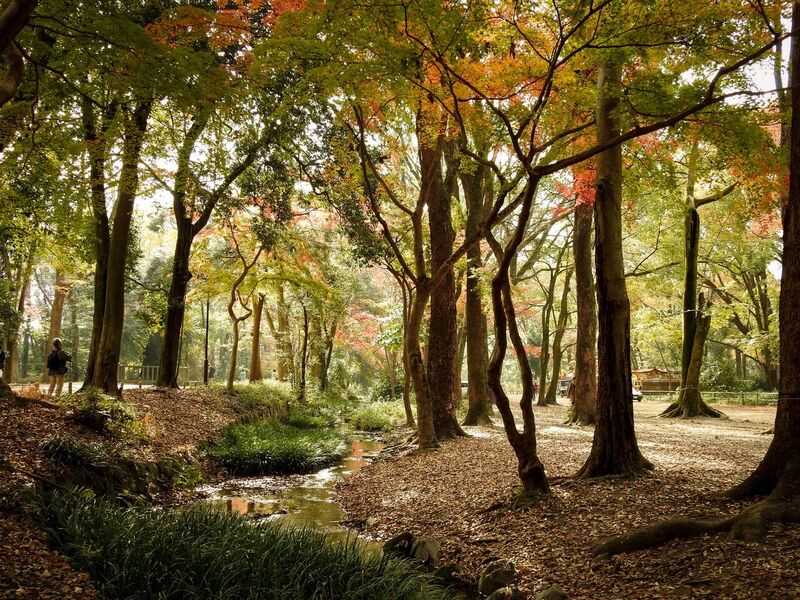 This is where you will find SHIMOGAMO Shrine and the sacred woods called TADASU-NO-MORI. This place was described in a 10th century essay, and there are shrine documents recording repair work done in Year 90 BC. In addition, many early stoneware pots have also been excavated in this area. SHIMOGAMO Shrine is one of 17 sites in Kyoto designated as UNESCO World heritage sites, and it is interesting to note that this shrine was listed in 1994 and was the first Shinto shrine to be added. Amid the surge of tourists from overseas to Kyoto and Japan, comparatively, SHIMOGAMO Shrine has managed to retain its peaceful setting away from the hustle and bustle of tourism in Kyoto. I would say that this shrine is the place that showcases what people who grew up in Japan typically see as a Shinto shrine. I would highly recommend that tourists from overseas and foreign residents of Kyoto should come and check it out. My idea of a “traditional Shinto shrine” is that they are located in the middle of dense woods and/or in the foothills of a wooded mountain. By walking through the woods, you transition from daily life to somewhere sacred. The scale of the awe-inspiring woods makes you feel small. Although shrines can be vibrant and lively with food vendors during festivals, these are rather extraordinary situations. Ordinarily, there are only a few visitors. You could be the only person in the shrine. It’s a place to calm down or to be meditative. 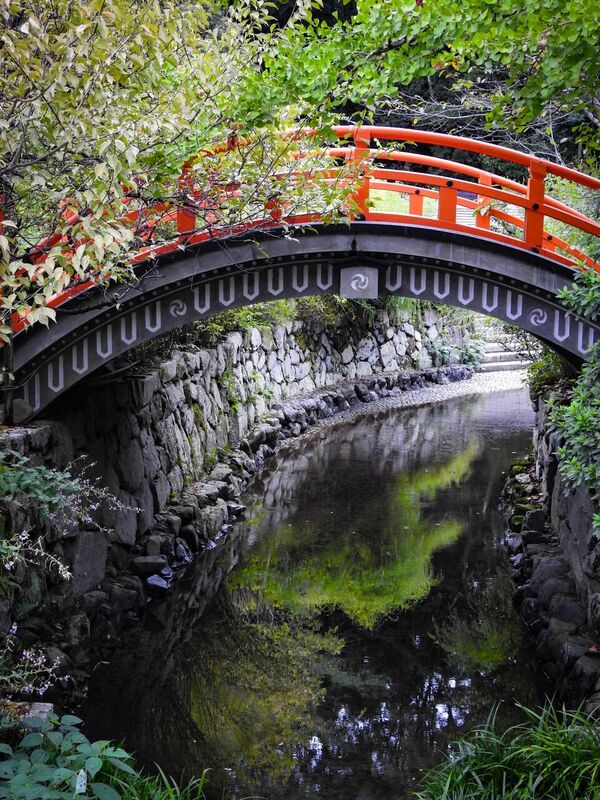 Water is an essential element for Shinto shrines in traditional settings. In the past, people would cleanse themselves of impurity with water from a stream. If the woods can be viewed as a static element, then the stream could be seen as a dynamic one. Perhaps this constant flow of water may have instilled the sense of transience in people’s minds even before Buddhism was brought to Japan. 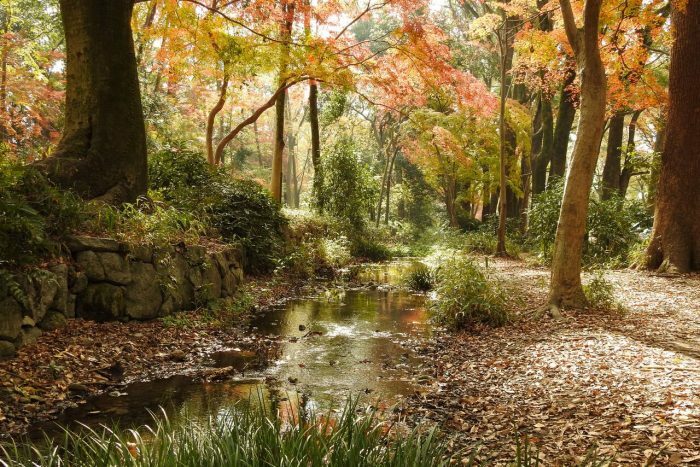 There are four streams in the precinct of SHIMOGAMO Shrine: IZUMI River, SEMINOOGAWA River, MITARASHI River, NARANO OGAWA River. MITARASHI-GAWA River, in particular, has for a long time been much loved by visitors to the shrine. This river is known for being the place where the “MITARASHI Festival” is held. This festival takes place in the summer heat of late July. A section of the river is dammed up, and the enclosed area forms a small knee-deep pond. Visitors roll up the legs of their pants and slowly wade into the water. It is believed that their feet will be cleansed of misfortune and they will become healthier. 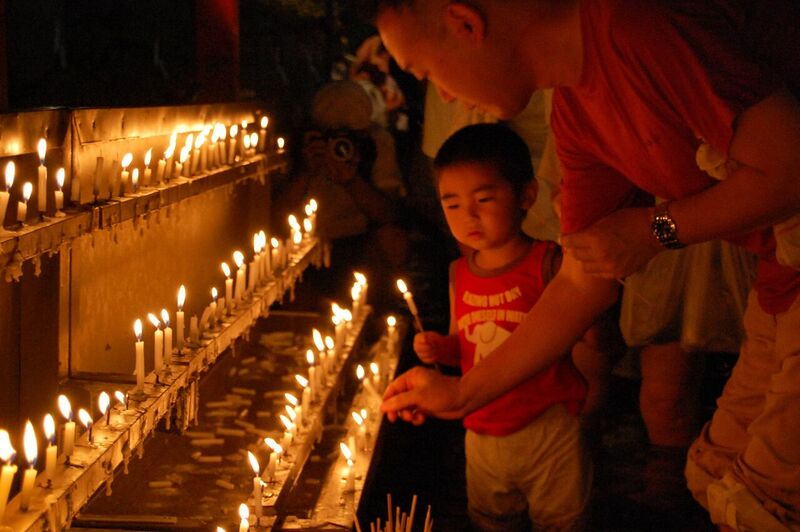 Visitors hold a candle in their hands and after lighting it, place it on a rack while they maybe think of their family members, both living and passed. Deities keep an eye on every aspect of daily life, adjusting to our changing lifestyles. 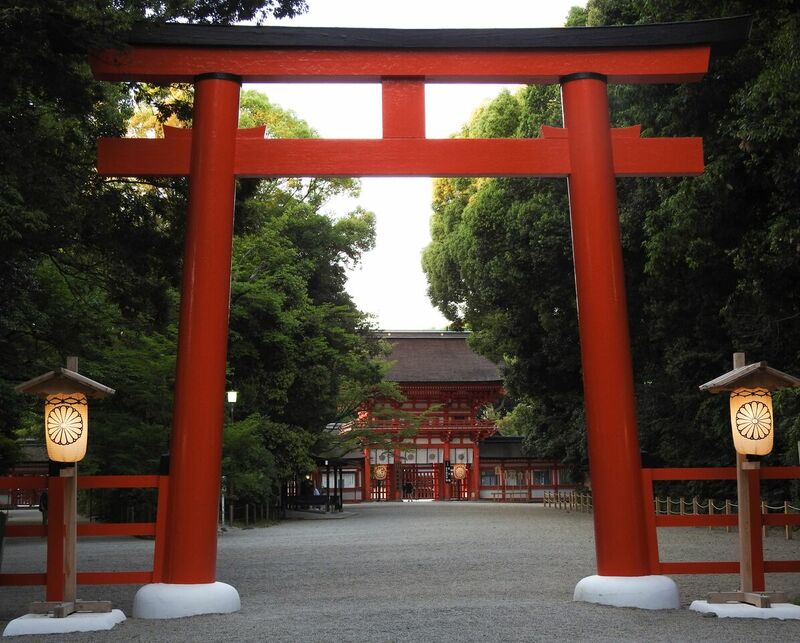 It is possible for new Shinto shrines to be established. Two years ago, a new subsidiary shrine, SARUWATA Shrine, was built. There you will see votive tablets in the shape of rugby balls lined up. Why? Actually, the first place a rugby match was played in Japan was in the woods of SHIMOGAMO Shrine in the late 19th century. 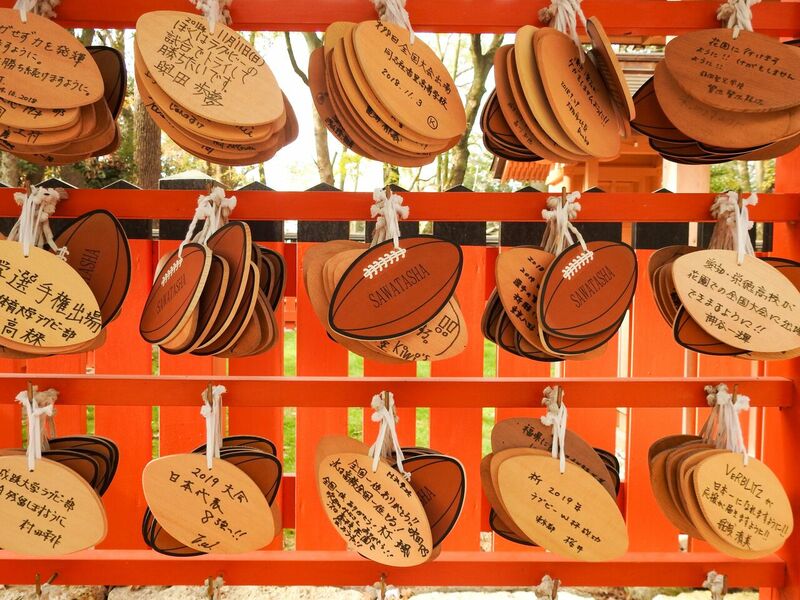 The Rugby World Cup is coming up in 2019, so even if you’re not a rugby player, it’s a great time to head to SHIMOGAMO Shrine and TADASU NO MORI woods and say a prayer for your favourite team to do well. 英語観光ガイド Private tour guide in Kyoto 京都御所以北をこよなく愛す京都市ビジターズホスト(京都市認定通訳ガイド)。2017年10月から150回以上の英語ガイドを実施、世界各国から訪れるお客様に京都の魅力をお届けするのを楽しんでいます。プライベートツアーのご予約は以下のリンクまで。 --------- As a City of Kyoto certified (Kyoto Visitors Host) English tour guide, I have conducted over 150 tours in the last year. 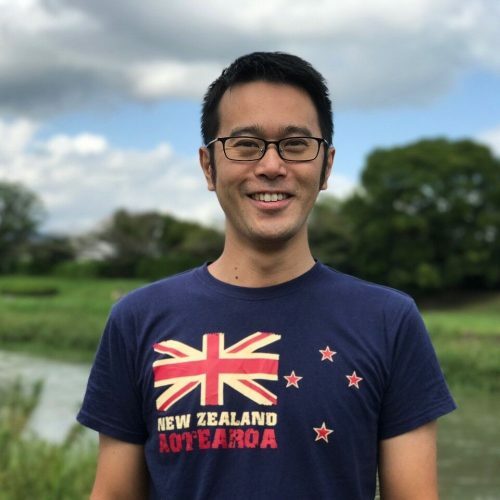 I enjoy sharing Kyoto with visitors from around the world and have a particular love for the northern part of Kyoto, the area north of the Imperial Palace. 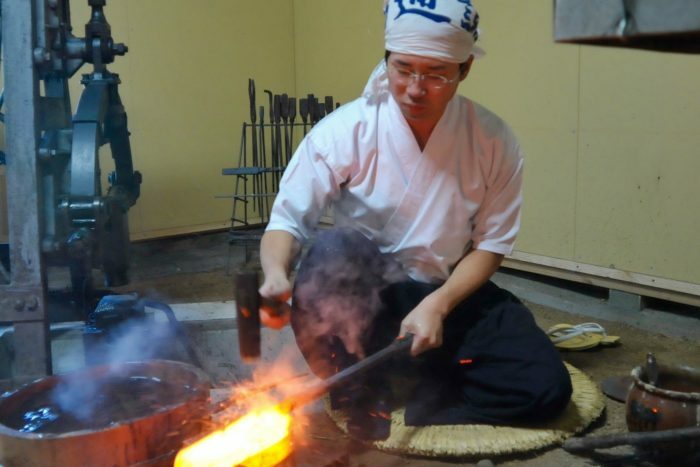 Please check out the link below to book private tours.. クレマチス：京都市ビジターズホスト検索サイト Clematice, a webiste where Kyoto Visitors Hosts are listed.